For formal functions, hot dancing dates and even bewitching bridesmaids, this beautiful Jade Blue 1920s Dress is guaranteed to cast a little flapper magic this season. 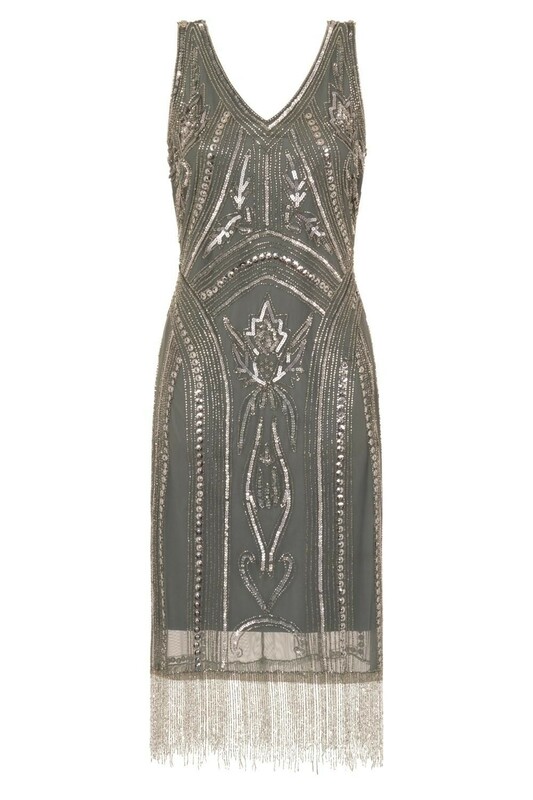 The soft linear pattern makes this an art deco dress with all the tough, strong personality of a fiery flapper girl but those floral motifs ensure a flourish of femininity allowing you to rock this beaded 20s dress at any occasion. 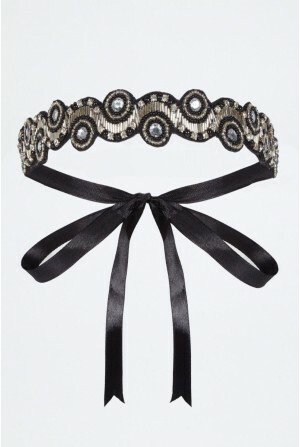 We are loving this deep toned fringed flapper with bold sparkly jewellery and a full on headband to complete the lavish lady look. 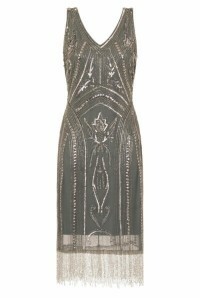 - Green/blue knee length flapper dress with silver bead fringing (like a super cool curtain!). 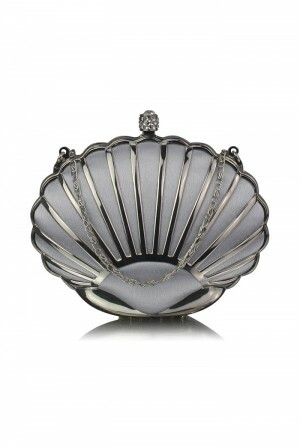 - Incredible bead work in arc, linear and leaf inspired pattern (so busy and beautiful). 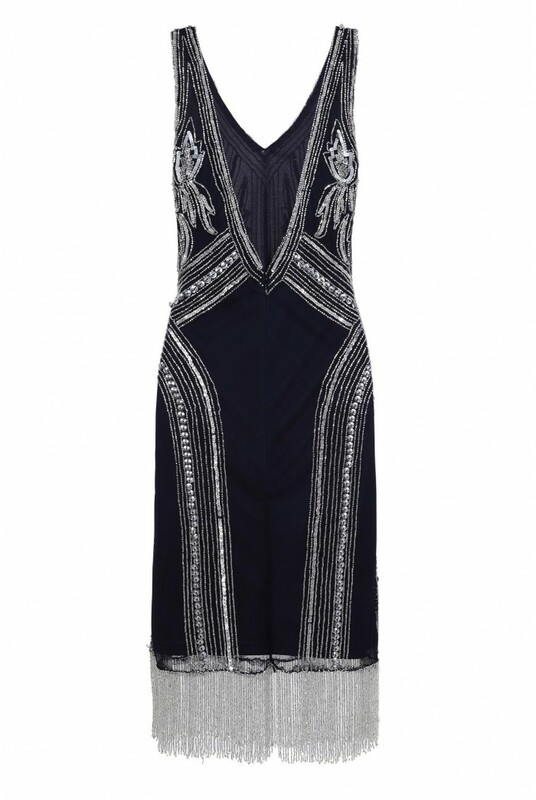 - Deep v-neckline with wide shoulder straps (hurrah the bra can stay).